Harry brings a wealth of knowledge and experience as a leader in DOD acquisition and procurement. 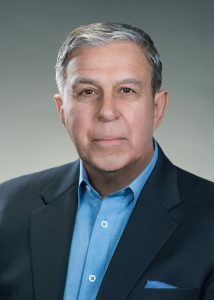 A Retired General Officer with over 33 years of leadership, contracting and acquisition experience. Harry served as the Senior Acquisition Executive for the NSA, directly responsible for the mission and procurement activities, which exceeded several billion dollars annually for all of NSA’s IT needs. Harry has over a decade of commercial senior executive experience in all defense agencies and the intelligence community, including service as Executive Vice President of Serco Incorporated’s Defense and Intelligence Group and Strategic Programs, for SI International and President and CEO for MFN Global Services, LLC, a fiber-optic telecommunications specializing in global information grid solutions federal, state and international clients. Harry enjoys a daily run with his dog as well as gourmet cooking.